Experience the Ultimate Water Confidence and SCUBA Certification Course in two weeks! 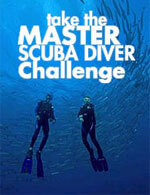 During the course of two weeks, you will be immersed in water and SCUBA Diving activities. With practice in breath holds, treading water, water entry, and more; you will be more confident than ever in your abilities. In addition, you will complete several SCUBA Certifications. You can start with no SCUBA Diving experience and graduate with a Rescue Diver SCUBA Certification. With certifications available through PADI, SDI, American Red Cross, and Divers Alert Network; you will be secure and confident in your ability to master the oceans. If you are planning on a future in the military, this course is perfect to prepare you for water skills in the military! Young Marines, ROTC, Boy Scouts, Girl Scouts, look no further. For a comprehensive SCUBA and water training course that provides focus on leadership, teambuilding, and positive reinforcement; this is your next step! Everything is included! You will be provided breakfast, lunch, and dinner for two weeks while you complete the Ultimate Course. It includes all rental gear, several boat trips and shore dives, your learning materials, etc. If you are not local to Broward County, or if you just want the full experience, you can add the destination options which include transportation and resort stay during the course. You can sign up as an individual for our August 2019 course (held August 19-30, 2019) or if you have a group you can schedule your own dates. A group consists of a minimum of 8 participants and a maximum of 30 per course. All rates listed are per person. If you are an individual, please choose the August date. If you are part of a group of 8 or more, you can choose other and we will contact you to schedule your course date. If you are travelling to the Broward County area, these options include transportation and resort stay during course.